In addition to the issue of the choice of its cryptocurrencies, investing in this sector raises the question of the best method to secure its parts. 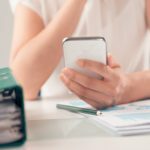 Cold wallet, paper wallet, wallet online, PC application or smartphone … each solution has its advantages and disadvantages. 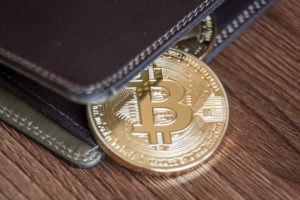 Here are our top wallets to secure its crypto-currencies among these different options. Ledger Nano S the most secure one ? Should we still present the Ledger Nano S, a cold wallet so sought after that it is currently out of stock at the manufacturer? This small device, which slips easily in pocket, can store more than twenty cryptocurrencies, the list goes on each month. Among the most popular crypto-currencies that are supported by the Nano, there are Bitcoin, Bitcoin Cash, Ethereum, Dash, Litecoin, etc. All ERC20 tokens on the Ethereum network can also be kept safe on this physical wallet via MyEtherWallet. 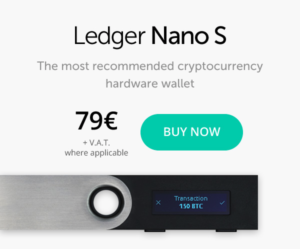 You can buy the Ledger Nano S on Official website here. Trezor is a solution similar to the Nano S. The technical principle is the same, the keys are encrypted on the device, so it is impossible for a hacker to know them. This type of solution is so safe that you can use it even on an infected computer. And if the camera falls out? No problem, thanks to your restoration keys you can recover all your parts via another device. If you have crypto-currencies that represent substantial amounts, such an investment is highly recommended. Everyone does not invest large amounts in cryptocurrencies. Small investors for whom the purchase of a cold wallet is not justified. Who do not want to take the lead with the configuration of a PC client or smartphone can very well consider leaving their parts on a flat exchange form. But in this case, it must be chosen. The recent news of the NEM flight on Coincheck reminds us once again. 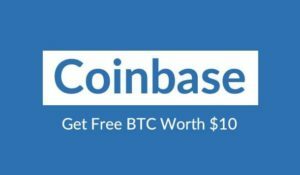 This is why Coinbase is a solution of choice for those who wish to use an online wallet, even if the offer is limited to 4 large cryptocurrencies (BTC, LTC, BCH and ETH). 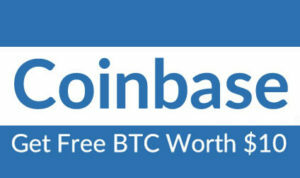 The advantages of Coinbase? His seniority, which allowed him to win the trust of investors. If Binance is still a very young platform in the world of cryptocurrencies. It already has a high degree of trust with investors. Its record in terms of security is currently perfect. It remains to be seen however in the long run if the platform of exchange which goes up will continue its faultless. Another asset of Binance is the wealth of crypto-currencies supported. You can store Cardano, Stellar, Iota and things you did not even know existed. Kraken has been heavily criticized in recent weeks for the many platform stability issues. Things have since returned to normal, so calm has returned. Users are now starting to highlight Kraken's strengths instead of evoking the famous “error 520”, namely its faultless security. Since its inception (2012), Kraken has never been hacked. “Past performance does not prejudge future performance,” this popular term in finance also applies to the sector of computer security. Nevertheless, Kraken's immaculate record in this area, over 6 years, inspires confidence. So you can store a limited amount of BTC, Stellar, Ethereum, EOS or Iconomi without too much chick. If MyEtherWallet.com is accessible through a website, make no mistake, this is a client type interface. Simply put, the site does not store any data about your Ethereum portfolio. 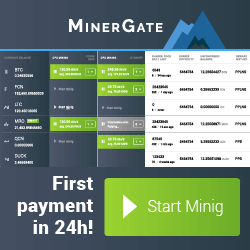 It simply makes available to your computer code that runs on it and that allows access to your ETH wallet via a private key, a file JSON, etc. No security issues have been identified to date with this solution, unlike the Parity wallet. It manages its ETH, but also the myriad of ERC20 tokens whose family is growing day by day. When such a token is not in the list, simply add it with the option provided for this purpose by indicating the address of the contract, the currency code and the number of decimals. MEW for intimates has an option to configure the price of gas to use. A handy link to Eth Gas Station is present to know the minimum price of gas to use to move a transaction without concern on the Ethereum network. Exodus is a wallet for PC, Mac or Linux which is characterized by its great simplicity of use and its support of a significant number of crypto-currencies. For a beginner who would be intimidated by the installation of a wallet on his computer. This is the perfect solution to keep Bitcoins, Ethereum, Dash or other things like EOS. One of the great assets of Exodus is that it integrates an exchange solution. You can directly from your wallet exchange a cryptocurrency that you have against another that is supported. For example, exchanging Litecoins for EOS. You will not get the best rate on the market. On the other hand, it is the ideal to realize very quickly a purchase, without making head. Are you looking for a wallet for Android phone (soon Apple) that supports many alts? In this case we advise you to take a look at Coinomi, which was the first multi-crypt wallet for Android. It includes the most popular crypto-currencies, but also things like Auroracoin, Bata, Stratis, Vertcoin, Verge … the list is impressive. Like Exodus, you have the possibility to exchange your cryptocurrencies via integrated Shapelift and Changelly services. This is probably not the best option to keep crypto-currencies that are large amounts of money. Unless you have a mobile device that is not really, that you keep at home. But to store small amounts in alternative currencies, Coinomi is perfect. In terms of security, the official wallets of the crypto-currencies are undoubtedly the top, just behind the cold wallets. Unfortunately, many of them require the full download of the chain of blocks, which makes them extremely heavy. Unless you have a “light” option, this alternative will be reserved for investors. They are particularly concerned about the security of their cryptos assets. You are typically what is called in the middle a HODLER, an investor who plays on the long term and who does not intend to touch his Bitcoins, Ethereum or other before months or years? The paper wallet is a self-respecting option. Behind this term lies a childish principle: whatever the currency. You do not keep your keys on a computer or device. You simply print on several pieces of paper that you keep (very) preciously until the explosion of the value of the cryptocurrency in which you have invested.